In recent years pollution has become a major problem for entire planet. Urban development, new industries, increasing number of vehicles, Population these are few factors which are responsible for high pollution in major cities. To take actions based on insights to reduce pollution, collection of accurate data is very important in the process of air quality monitoring. These results can be achieved by using ambient air quality monitoring system. There are numerous manufacturers are available in market for ambient air quality monitoring systems. How to Choose Appropriate Air Quality Monitoring Equipment? Choosing right ambient air quality monitoring system is very important decision to achieving aim of monitoring program. Instrument that doesn’t detect pollutant in required range may not provide correct data. Why to monitor? – Purpose of monitoring program is very important in the process of choosing ambient air quality monitoring system. E.g. Screening process requires lower sensitivity than monitoring for research purpose. Period of Installation: If the equipment is used for short term for monitoring then portability, size, weight and toughness are the factors to be considered. Accuracy and measurement range: Will considered sampler able to detect required parameter that is to within range? Maintenance: how frequently parts needs to be changed or repaired? Id it onsite support or instrument needs to be carried to manufacturers office? Frequency of calibration: This factor shown how much time it takes to fully calibrate that equipment. If it takes significant amount of time then large percentage of data is lost during monitoring. Also if a particular instrument requires frequent calibration is cost to organization. Internet connectivity & Internal Storage capacity: Ambient air quality monitoring instrument needs to have Ethernet port, RS232 connectivity so that data can be logged and shared remotely. Also it should have sufficient internal memory. Operating environment: does that equipment requires Air conditioning, temperature or moisture control? Cost and trustworthiness: Find out who else has used particular product and take feedback before purchasing. Also considering cost of equipment and cost of recurring consumables is a good idea before making purchase of ambient air quality monitoring equipment. Notification: Does that equipment sends notification to concern person if particular pollutant is present above ? Air quality monitoring instruments can be divided into three parts based on their cost, level of accuracy and precision. Continuous emission monitors (CEM) are very high accuracy methods that provides continuous records of pollutants. These CEMs are self-operating systems which can go days, weeks with minimal intervention of operators. They also have remote communication facilities so that data can be downloaded remotely. They have extreme level of measurement accuracy, and wide range of detection limits. Also some of the instruments have features like automatic calibration, flameproof sensors. 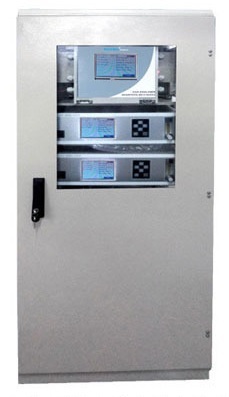 Continuous emission monitors are the most expensive monitoring systems which requires . These are the old school monitoring samplers, also called high volume samplers. In this sampler, air is forced to enter from under caves of the roof to change direction by at least 900 before entering the horizontal filter. It passes only those particles which are entrained in air after changing its direction by 900. Thus dust is not subject to settling under the influence of gravitational force. By using high volume sampler, motoring starts with known volume of air is passed through pre-weighted filter for known length of time. After monitoring filter is reweighted and difference in weight is used in calculations. For more than 24 hrs monitoring filters are changed in midnight. These types of monitoring systems work on the principle of absorption and permeation, i.e. physical binding specific compounds that are being targeted. Air pollutants that are being sampled are passed through semi permeable membrane and then collect on a filer paper that has been chemical treated to absorb targeted pollutants. These systems are very cost effective to collect air quality data. It does not require power, making it excellent option where electricity is not available. Also it makes easy to operate and sampling as there is not data loggers, pumps. This is very good option for large areas for three-dimensional variation of pollutants and studying long term trends. Though it is cheap monitor it has its own limitations such as, low accuracy, no indication peak levels etc. As per CPCB norms below mentioned parameters are mandatory for air quality. It is very important to monitor meteorological data at the air quality monitoring site as weather is important factor for the movement of pollutants, which can affect concentrations of pollutants, wind speed, wind direction, temperature, humidity etc. 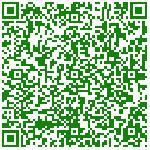 We are offering services in Environmental solutions. We have highly experienced and qualified staff to carry out Ambient air quality monitoring programme. Thanks for the informative article. Air quality has become a political issue in India! Many a times I saw Press or Politicians using the acronyms with wrong meaning. Sadly, the wrong communication leaves a permanent (and wrong) impression on the minds of the readers. It may not be a bad idea if you prepare two separate notes; one for Press and other for Politicians. Send the notes to all the concerned and let them avoid the confusions and wrong impressions people get about this important subject. It does more harm than good. Recently the so called pollution in Mumbai was (to my knowledge) illegal burning of Hazardous Chemicals. What matters is 1. What are the chemicals being burnt? and 2. What is PEL for these chemicals even within the workplace? Thank you Avinash. We will try to implement you suggestions in our upcoming articles. Today air pollution has become a major issue. The blogs state very good ideas to monitor the problems through quality monitoring systems. It gives you complete idea on the problem and the importance of monitoring the pollutant. Chemtrols have a very good quality monitoring system which gives perfect result. Thank you Gaurav for the information. Thank you for sharing this Article. The Dust Monitor has been supplying instruments to customers worldwide. 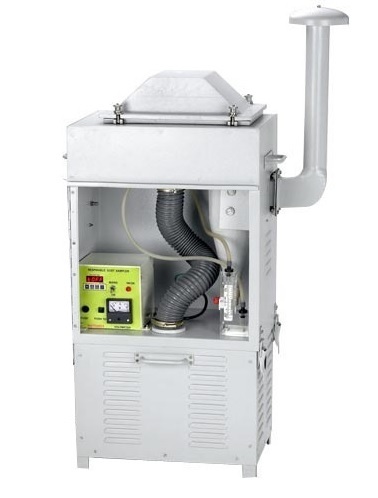 Back Scattered Dust Monitor for Ideal monitoring opacity and smoke levels in the exhaust gas of industrial combustion or air filtration processes.